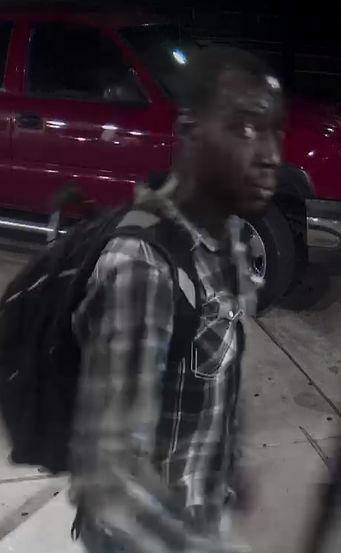 Aggravated Robberty, LIVINGSTON, October 9, 2018 - On October 7, 2018 at approximately 9:48P.M., Livingston Police Department Officers responded to the 1400 block of North Washington Avenue in reference to a robbery that had just occurred. Upon officers arrival they were advised that a black male had just ran out of the business wearing a mask holding a firearm. After reviewing the video surveillance recording officers obtained a clothing description and direction the subject fled from the store. While still conducting this investigation officers were dispatched to the 300 block of South Houston Street in reference to an additional robbery that had just occurred. When Officers arrived they were given a description that was consistent with the male suspect from the earlier robbery. 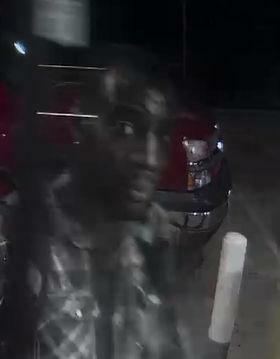 PLEASE NOTE: The videos and pictures are NOT of the actual robbery just of the person that we are trying to identify. Callers will remain anonymous and may be eligible to receive a cash reward of up to $1,000 if the information provided leads to an arrest or grand jury indictment of a felony offender.